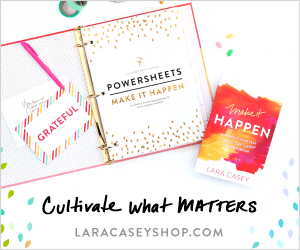 Holiday Greetings with Paperless Post | CRAZY LIFE WITH LITTLES - Lifestyle, Travel Motherhood Blog This blog uses affiliate links. For more information refer to the Disclosure page. It’s about that time to start scheduling your holiday photos for sending out cards to friends and family! For some reason it’s insanely hard to get the whole family together during daylight hours to take a family portrait. So I took the less stressful avenue of dedicating this year’s holiday card to my kids! Hey, that’s two less outfits to worry about! 😉 This year I did a little research and found the perfect company to share with you. If you’re looking for adorable, stress-free holiday greetings then look no further than Paperless Post. You’re probably thinking “Paperless? ?”, but I like paper cards. Don’t worry…they have traditional cards too! If you’re like me, you’ve noticed that sending holiday greeting cards has gotten more and more expensive. First you have to find outfits, and then schedule a photographer whether in-studio or with a lifestyle photographer these two tasks can really add up. Once you’ve obtained your photos you still need to print your cards…another expense! And it doesn’t stop there…Postage has gone through the roof! Paperless Post has the best options for alleviating the high costs of sending holiday cheer. This year I decided to send a select number of paper cards to close relatives and use the electronic version (of the very same card) to send to the remaining friends and family! The cards themselves are half the price (save on printing!) and you don’t have to worry about stamps! Boom! More presents in your kid’s stockings! There are so many adorable layouts and designs to choose from and I love this card I selected. I can’t stop staring at my adorable babies! 😉 Cards are made with heavy weight card stock. Here’s what the electronic version of the holiday card looks like…Same layout, just delivered straight to your inbox. Once you tap the “View the Card” button it takes you to this animated envelope below where your card will emerge from. The exact same card and layout of my paper option! So cute! There is even an option for the recipient to send a reply message back to you. You don’t have that option with a paper card! Paperless Post has everything from paper invitations and stationary to online invites and greeting cards in a wide variety of holidays and events. Visit their site today and save 20% off your orders! This post was sponsored by Paperless Post. The greeting cards mentioned were provided in exchange for an honest review. All opinions are my own. For more information please visit my Disclosure Page. The card is so cute! LOVE the photo you have on there – but this is an awesome service!!! Loving your Christmas cards and your little cuties! You are on it this year… I haven’t even thought about Christmas cards yet but now I know where to go! Omg this is so amazing! I need to get on mine! Those are so cute! I’ll have to check them out! Love the card! I’ve been against emailing cards but this post has changed my mind! And this reminds me that I am very behind on Christmas cards! Love your card and how fun to have that extra email option!